Perhaps the best way to start talking about scoliosis hard bracing, how it works and its goals, is first to briefly describe normal spinal anatomy so that we can get a better understanding of why we need to stop scoliosis progression. The spine is made up of 33 individual bony vertebrate. The spine serves some major functions in our body. Of these major functions two very important ones come to mind: the spine houses the spinal cord (which is basically an extension of our brain, coordinates every function of our body on a daily basis), and the spine is the structural support that allows us to stand upright. The healthy spine is very strong, flexible, and allows movements in several planes while still protecting the spinal cord. Bones, ligaments, tendons, and muscles all contribute to the strength of the spine. However, any one of these structures can be affected by injury, strain, or disease and can end up causing us pain. When we are born and start crawling we start to develop curves in our back, and again when we start walking we must adapt again as our spine develop secondary curves. The spine can often be thought of as a spring that allows us to absorb shock, balance, and allows us to use a large range of motion while maintaining our balance. These curves should be seen when looking at the spine from the side, a lateral point of view. That being said, the spine should be perfectly straight when we look at it directly from the front or the back. When scoliosis develops the spine starts to deviate laterally away from mid-line. So when looking at the spine from the back it will not be straight we will start see the development of usually a C or a S-shaped curve. This helps us to understand one dimension of the spine, however scoliosis is a multidimensional spinal deformity. Often one of the major problems with scoliosis is not just the lateral curvature that we see on an x-ray, but it is the effect of the twisting of the spine that causes an increase or decrease in the natural curvatures we are supposed to have in our spine. I feel the simplest way to describe this is to imagine taking a rubber band and twisting it. What happens? The rubber band will twist to a certain point and then it will eventually kink. If you look at it this way, the twisting is the rotation of the bones of our spine and the kink is the lateral scoliosis curvature that shows up on an x-ray. This seemingly simple theory of how the twisting of the spine can lead to lateral deviation of the spine, or what we call scoliosis was not common knowledge decades ago. This is why when you start reading about the different types of braces that are used to slow progression of scoliosis you will notice that most only work in one dimension of the spine. Hence, only attempting to affect part of the problem. Back with the invention of hard braces such as: the Milwaukee brace, the Boston brace, the Charleston brace, and the Chenaeu brace: doctors were attempting to just slow or stop progression of the scoliosis until the patient was done growing. The original thought was since scoliosis progressed most rapidly during the teen years bracing could keep a curve from progressing to the point of disability. 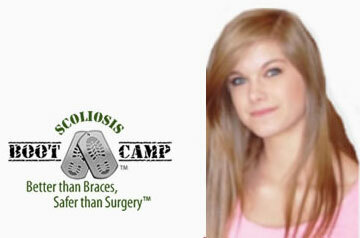 Then the patient would stop growing, and they had successfully “warded off” scoliosis progression. Each one of these hard braces works in a slightly different manner and often work on different spinal curvatures. The Boston brace is the most commonly used brace in United States. This brace is often used for lumbar scoliosis, thoracic scoliosis, or thoracolumbar scoliosis. The brace extends from below the breast to the beginning of the pelvic area in front and from just below the scapula to the middle of the buttocks in the back. It is designed to push the abdomen in to flatten the posterior lumbar contour. It attempts to correct by pushing small pads against the ribs. These same pads are often used to try to reduce rotation as well. The strategically placed pads provide pressure on the curve and usually on the opposite side of the pad there is a cut out, or area of relief. 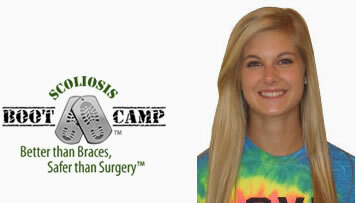 This brace is typically worn about 20 to 23 hours per day. The Charleston bending brace, a.k.a. sleeping brace is worn only at night during sleep. This brace is molded to conform to the patient’s body while the patient is bent towards the convexity of the curve. In essence it attempts to over-correct the curve for the eight hours it is worn. These are often used for single curve scoliosis. The Milwaukee brace was probably the first modern brace designed specifically for the treatment of scoliosis. The design of this brace changed for nearly 3 decades however today it is still the design that we used in 1975. This is the only one of these for braces listed here that are typically used for high thoracic curves. The Milwaukee brace can be looked at as a combination of a Boston type of brace combined with metal rods attached in front and back of the neck with a padded ring encircling the neck, to attempt to provide stabilization to the upper thoracic and cervical region during scoliosis progression. 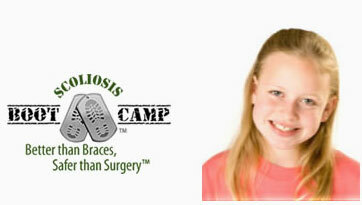 This brace is typically worn about 20 to 23 hours per day. The Chenaeu brace is a hard brace that like the Boston brace attempts to be fitted to the patient to apply pressure to specific areas of the ribs in order to put the spine in a better position. This brace however attempts to work with the thoracic curve a little bit higher by adding support to raise one shoulder higher than the other (typically in scoliosis one shoulder is dropped lower than the other, this is attempting to affect that). 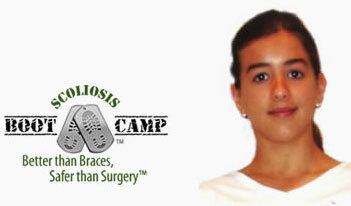 This brace is typically worn about 20 to 23 hours per day. 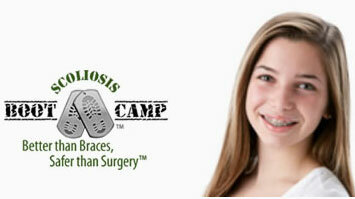 These are typically the most common of these hard, or rigid, braces that are seen today. 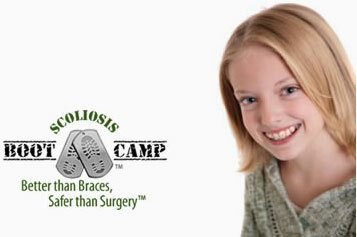 Do these braces actually decrease the progression of scoliosis? 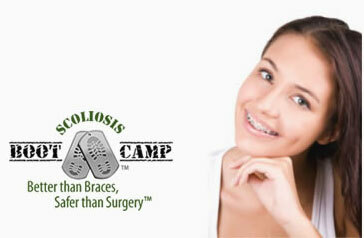 It is hard to look at past or current research and determine if these hard braces actually stopped progression. The problem with a lot of these studies is that a lot of them show only a percentage of patients who have not progressed much while wearing a brace, however how many of these patients would not have progressed anyway even if they weren’t wearing a brace? 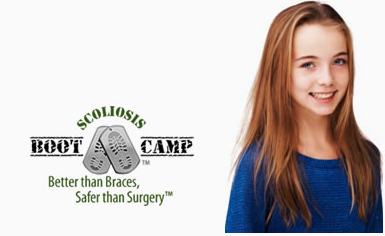 Most current research on scoliosis bracing shows such an insignificant gain from wearing a hard brace, that it hardly seems worth it to put a child through the psychological and emotional anxiety that comes with wearing one for up to 23 hours a day. Also out of all these hard brace choices only one, the Cheneau, even takes more than one dimension into account, and the statistical research on this brace is still very limited. Lack of studies showing significant improvement, research that only shows insignificant decrease in progression, and the thousands of stories that are out there about what a traumatic experience hard bracing is for a child all make us question whether hard bracing should even be a choice. Even a bigger deal, we are now starting to question the cause of idiopathic adolescent scoliosis. 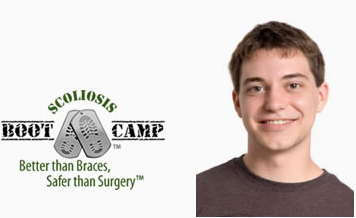 A focus group called SOSORT (Society of Scoliosis Orthopaedic and Rehabilitation Treatment), which is a collection of scientists, physical medicine and rehabilitation doctors, spinal surgeons, physiotherapists, psychologists, CPOs and patients who are all aimed at the compilation of scoliosis research and treatment quoted this in their most recent textbook, “The origins of Adolescent Idiopathic Scoliosis (AIS) is most likely linked to a genetic defect of the central control or processing by the central nervous system (Pons and hind brain) that affects the growing spine.” If this is their most recent consensus, that scoliosis really is neurological based, then it brings to mind one question about hard bracing: Is a hard piece of plastic going to help rewire the brain and our Central Nervous System so that scoliosis won’t progress? 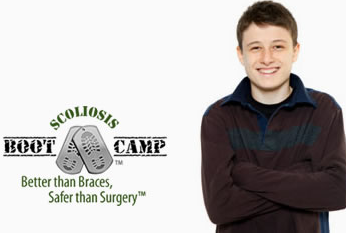 In my personal opinion this seems like a no-brainer, research needs to go into those methods that are successfully decreasing and stabilizing scoliotic curves through neurological training, instead going into braces that have been around for 40 years with insignificant success. As new studies show that neurological treatment, and neuromuscular reeducation of muscles is effective treatment for scoliosis we need to step away from the dogmatic thinking that a hard piece of plastic is going to affect a neurological disorder.